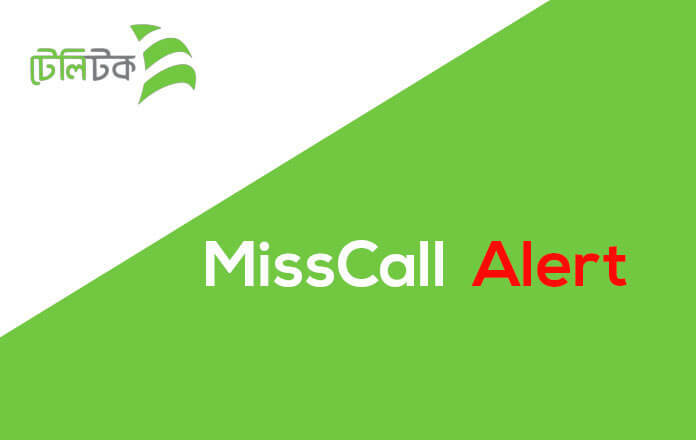 Today we share ” How To Activate Teletalk Missed Call Alert Service” Teletalk is a mobile operator company service in Bangladesh, Teletalk management Bangladesh government. Teletalk Missed call alert service is very important to every person because the missed call alert help us too much, Missed Call Alert (MCA) is an application intended to catch all call endeavors when a specific supporter isn’t reachable. Missed Call Alert service provides the facility to get informed about the calls that are missed because of keeping the mobile turned off or being out of the system. You will be told through SMS when your telephone switches ON. The missed call alert SMS will contain information about calling mobile numbers, time and date when the call was made and the number of calls. For this Service, a fixed amount of charge will be deducted in every month. It’s very easy to activate your Teletalk missed call alert service simply follow this content. How To Activate Teletalk Missed Call Alert Service? To activate Teletalk missed call alert service simply, Type ‘TT’> Space ‘START’> Space ‘MCA’ then send to 2455. Teletalk missed call alert service monthly fee Tk. 10. How To Deactivate Teletalk Missed Call Alert Service? To activate Teletalk missed call alert service simply, Type ‘TT’> Space ‘STOP’> Space ‘MCA’ then send to 2455. Note: If you need additional details please visit Teletalk official website or contact customer care. Thank you so much for the staying with us a long time and read this article, we respect your time, please if have any kind of questions just comment us we response your valuable comment. we have one request SHARE our website and like our Facebook Fan Page.